In our office we have made a comprehensive effort to protect our patients and ourselves from infectious diseases. The use of gloves, face shields, and disposable products are visible signs of our commitment. Although the actual risk seems very low, no precaution is too great! We want to share with you some of the things that go on behind the scenes to protect everyone. Heat sterilization (autoclave) of all hand-pieces (drills) and instruments that go into a patient’s mouth … after every patient use. Use of disposable instruments and materials whenever possible. For example, we use a new disposable hand-piece for every patient who gets a cleaning. Extensive disinfection of every surface we touch in the treatment rooms after every patient. Staff training in “barrier” techniques, sterilization, first aid, and patient safety. Staff CPR training including AED defibrillator use. Hepatitis B vaccinations for entire staff. Separation and professional disposal of all medical and hazardous waste. OSHA training for all employees in infection control in the dental office. Continuing education classes for all staff members and doctors. 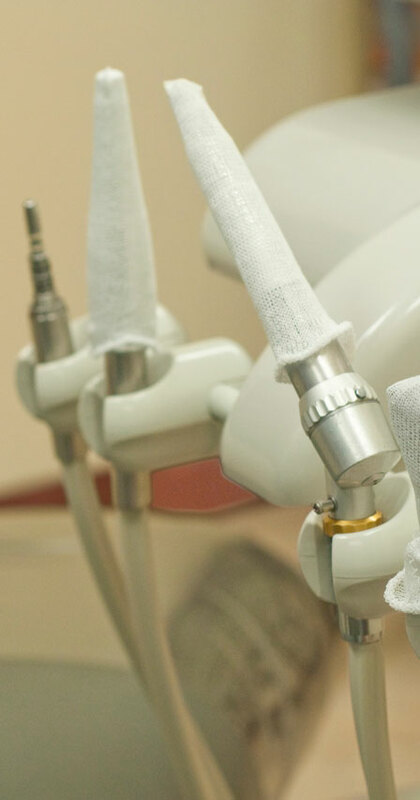 Use of the most modern equipment and methods available — both for our dentistry and for your safety. The New York State Dental Association, the Health Department, and OSHA are involved in advising and setting guidelines. Our office has worked hard to set an example which meets or exceeds all current standards. Please feel free to ask about any procedures. We will be happy to show you how we do anything in the office. We want to provide you with superior dentistry. And, we strive to do it comfortably and safely. We look forward to continually serving you.